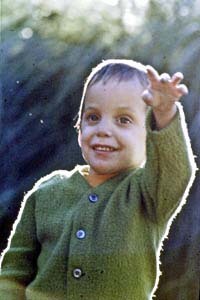 February 5th is the anniversary of the passing of my three-year-old son, David Cary, into eternal life. The inscrutable divine wisdom underlies such heartrending occurrences. It is as if a kind gardener transfers a fresh and tender shrub from a narrow place to a vast region. This transference is not the cause of the withering, the waning or the destruction of that shrub, nay rather it makes it grow and thrive, acquire freshness and delicacy and attain verdure and fruition. This hidden secret is well-known to the gardener, while those souls who are unaware of this bounty suppose that the gardener in his anger and wrath has uprooted the shrub. But to those who are aware this concealed fact is manifest and this predestined decree considered a favor. Do not feel grieved and disconsolate therefore at the ascension of that bird of faithfulness, nay under all circumstances pray and beg for that youth forgiveness and elevation of station. I hope that you will attain to the utmost patience, composure and resignation, and I supplicate and entreat at the Threshold of Oneness and beg pardon and forgiveness. My hope from the infinite bounties of God is that He may cause this dove of the garden of faith to abide on the branch of the Supreme Concourse that it may sing in the best of tunes the praises and the excellencies of the Lord of names and attributes. Excerpts from a recent email.
. . . I have thought of your words and your David all day long. I have to admit that I had been on your site several times to look at some pictures of David that I had found.When I first saw the pictures of sadness I wept openly. I have tucked away David’s images into my heart. I responded: There are also pictures of David on the page that are innocent, joyous, and even transcendent. The page is programmed to display the images in each group in random order. Each group represents a year of his life. The last picture of David taken before his final five-week hospital stay shows him bathed in light and waving goodbye. It’s not a special-effect or camera trick. That’s the way he actually looked – bathed in light. During David’s final hospital stay he was in and out of a coma but was always conscious and aware when I was at his bedside. One of the images shows him grasping a picture with his hand leaning against a large stuffed lion. The picture was an image of ‘Abdul-Bahá. For the entire five weeks he never let go of it. David died grasping it tightly and that picture is now in my wallet and has been for all these years. Though one of the poems about him says “I never recovered from grief“ I actually did recover soon but in a metaphysical way. I never stopped missing him would be more accurate. The poem also recounts a vision that I saw at the moment of his passing. That’s what literally occurred and what I saw. The poems were written more than ten years ago and recounted much older memories and not the way I had grown to feel. The pictures “After the Vision” and “After the Passing” were taken a few hours before David moved on. Note the quotations that go along with them. They are also a comfort. 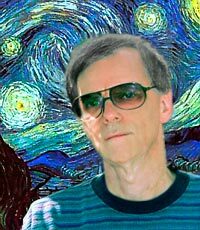 The backgrounds on David’s biography pages are black not to represent grief but because they make the image colors appear richer by contrast. God recompensed me with two beautiful healthy sons and one grandson (to date). 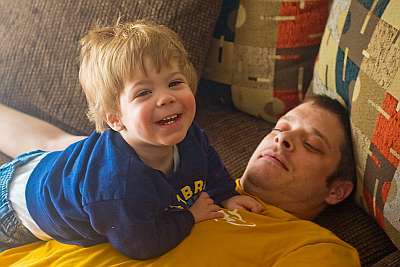 Here’s a recent snapshot of my grandson, Alex, and his dad, Nick. 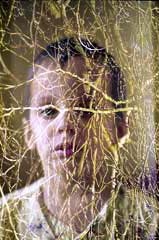 A beautiful book about the passing of a child: A Child of Tender Years by Joyce M. Jackson is a story of a child’s journey from birth until age 14. “But it is also a journey for his mother as she watches him grow, learns with him…and from him. It is a story about sacrifice and letting go, of being completely reliant on God and radiantly acquiescing to all that He asks of us. It is a story about faith.” In this book you’ll also find the story of the Divine Gardener.